William Byron earned his rookie record seventh win in the Camping World Truck Series Friday night at Homestead-Miami Speedway as Johnny Sauter earned his first series championship. Byron, who entered the inaugural Chase in Trucks as the No. 1 seed but was eliminated from title contention last weekend, moved into the lead with 10 of 134 laps remaining and held off Tyler Reddick for the victory. With 16 laps remaining, Sauter passed Matt Crafton and finished third, giving him the best finish among the four championship contenders. It’s just an awesome night and I’m proud to be a champion. Crafton ended up seventh, Christopher Bell eighth and Timothy Peters ninth. “It’s been an incredible season. They didn’t know what to expect with a rookie driver. They probably asked, ‘What is this kid going to do?’ It’s just amazing,” Byron said in Victory Lane. 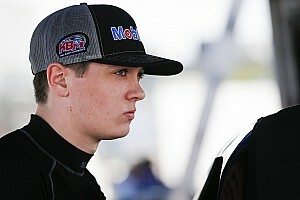 Byron, 18, will compete full-time in the NASCAR Xfinity Series next season with JR Motorsports. 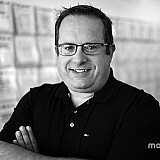 He signed a multi-year contract earlier this season with Hendrick Motorsports. 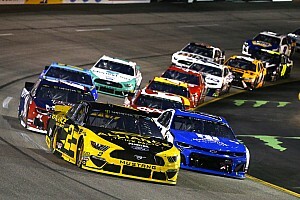 Kyle Larson led the most laps of the race (76) but in the final pit stops of the race, he went in with the lead and came out ninth, losing eight positions. “You can’t win races when you come in the leader and exit pit road ninth on the final restart,” Larson said. “I don’t know what it is with the trucks that I run here but we always seem to struggle on pit road. The biggest celebration was reserved for Sauter, who won the series season opener at Daytona and then closed the season with 12 consecutive top-10 finishes, including winning two of the final four races. Sauter, 38, has competed in all three NASCAR national series, but has spent the last eight seasons competing full-time in the Truck series. His previous best championship finish was second in 2011. 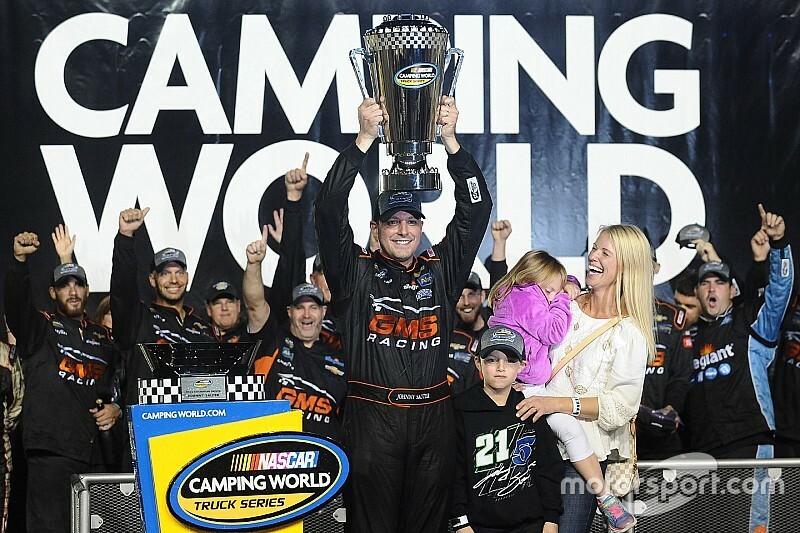 “It’s not just me, it’s the whole team – everyone at GMS Racing,” Sauter said in Victory Lane. “We didn’t qualify that well today and I was really a little worried about it but I felt really good in race trim. “We had flawless execution on pit road tonight and Joe (Shear Jr., crew chief) made some great adjustments so I could hang on. Five years ago tonight, my dad was here when we won the race and this is for him and Joe Jr.’s dad – two great Midwest racers. 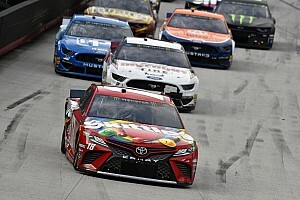 Kyle Busch Motorsports won the owner’s championship with its No. 9 team – its fourth consecutive owner’s title and fifth overall (a series record).